Attention all Bikers and Motorcycle Enthusiasts! 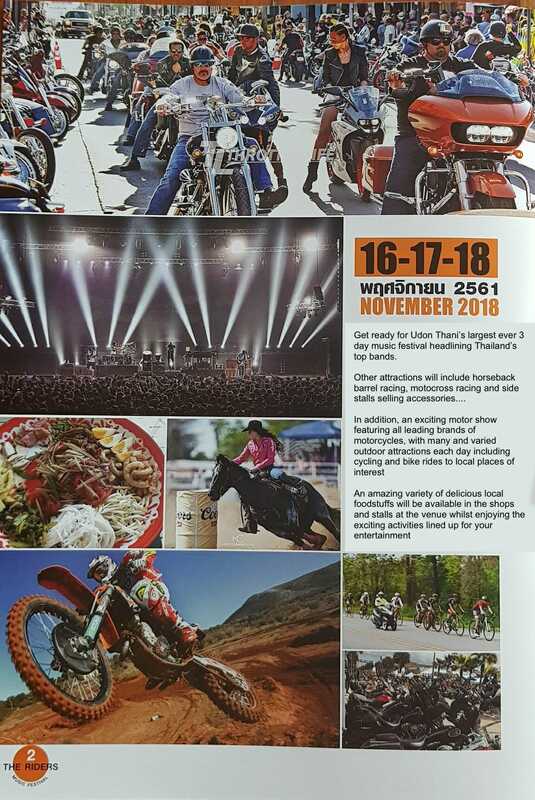 The Colonel of the Royal Thai Army in Udon would like to inform and invite you to the upcoming 3 day Riders' Festival that's happening in November. 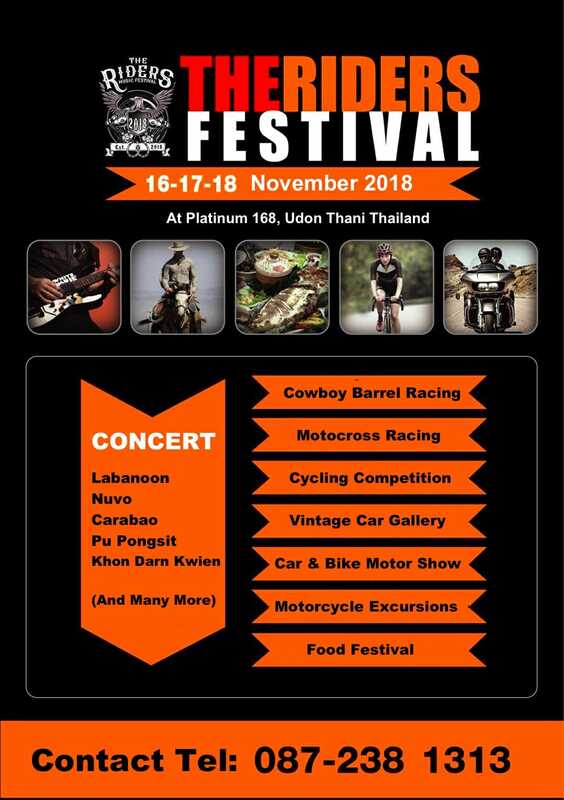 Udon Thani’s largest ever 3-day music festival headlining Thailand’s top bands. An amazing variety of delicious local foodstuffs will be available at the venue whilst enjoying the exciting activities lined up for your entertainment. 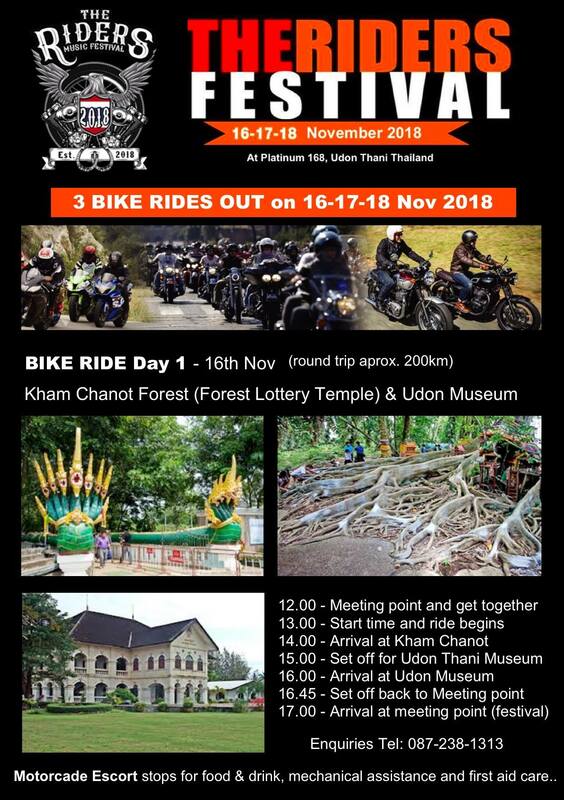 This is expected to be the biggest Biker event to ever happen in Thailand !! Last edited by Leks-Ranch on July 24, 2018, 2:54 pm, edited 1 time in total. Not like the current public graze-a-thon that has Tongyai blocked-off from the Prajak/railway lights north to the roundabout at the school. That now has Soi Sampan gridlocked. Three cops down Sampan yesterday afternoon, directing traffic around a couple of semi's that were offloading construction material for the new hi-rise flea pits. I thought they would at least (re)enforce the odd/even day parking rules while the next road is closed but went down there today and it was still parking on both sides and blocked like my kitchen sink. See ya there for a beer Dean. The first post on this thread shows a picture of a group of (pedal) cyclists. Does any one know what events are planned for us 'nak pun', or where one can get further information? Group ride on Sunday morning. Udon - Non Soon - Udon. 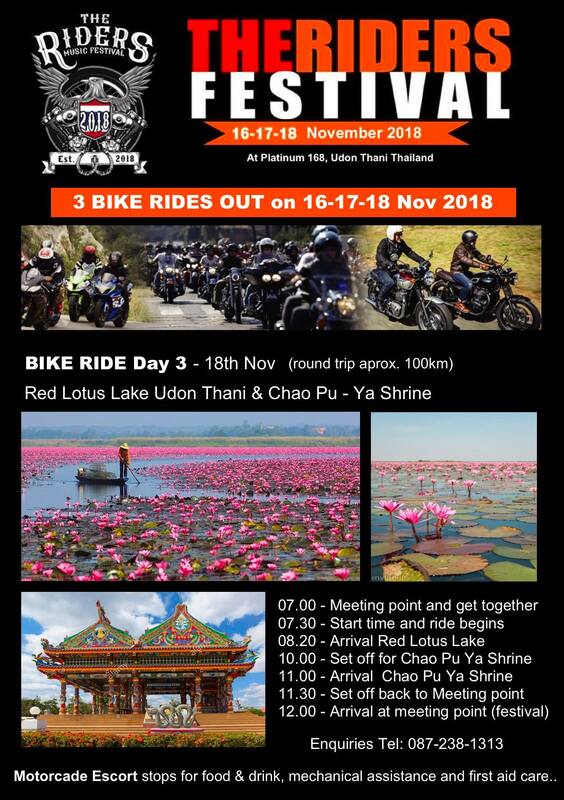 Registration is supposed to start at 4:00AM Sunday morning (crazy if you ask me) in the parking lot next to the Celini housing estate on Sri Chum Chuan (sp). Free t-shirts to registrants along with some sort of breakfast. 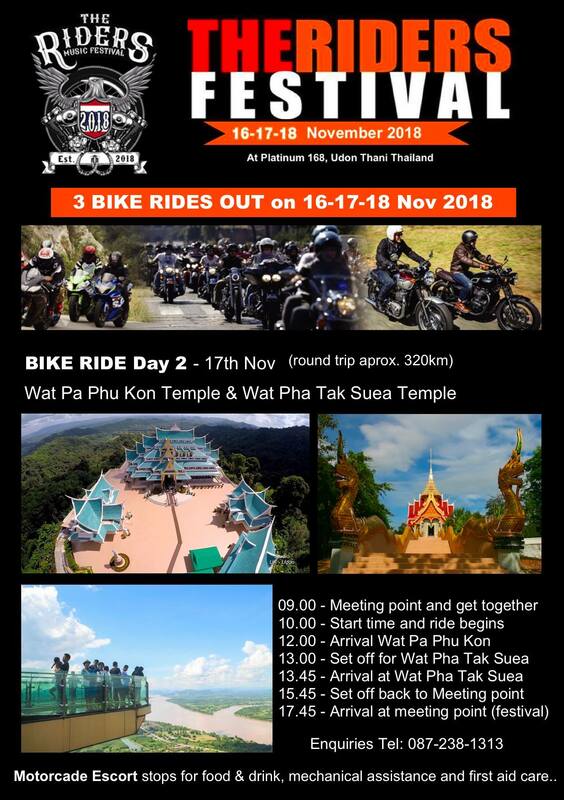 The group will depart around 6:00AM for a ceremony at Tung Sri Muang and then begin the ride. I'm told there may also be a light snack available at Non Soon. Here are the details of the Riders Festival cycling competition, I will post details of the web site where you can register very soon!